Сурово, однако! И зачем ему переться в такую глушь и снега? those 2 trees in front look like persons covered under snow. Also, good detail with man walking through deep snow. Maybe, it would be interesting to take same scene from lower angle. 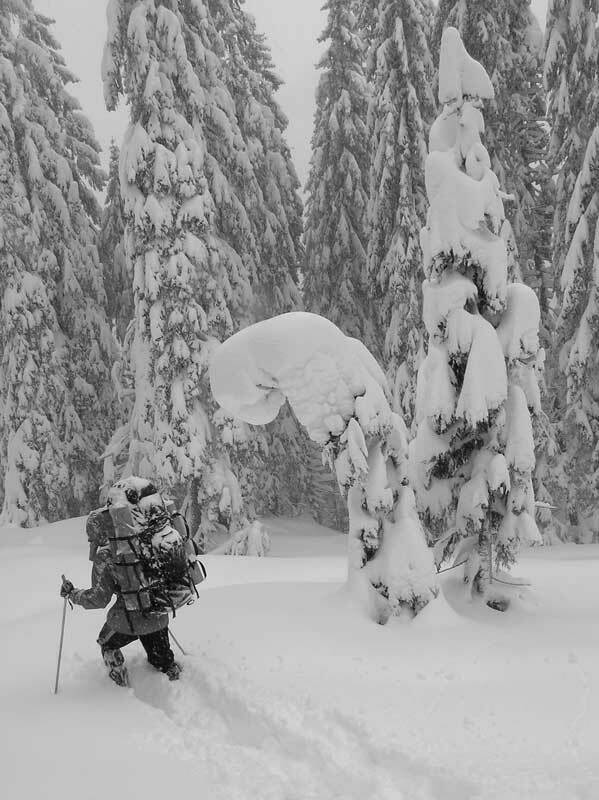 I'm feel for the skier breaking trail - a heavy pack and deep snow make for lots of work. The bent tree helps the composition and the backgorund is pleasant. Well done.